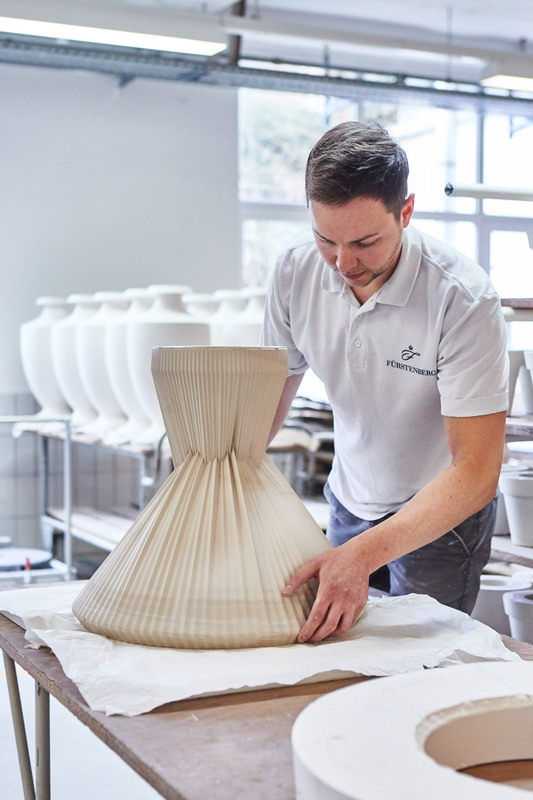 Furniture made of porcelain? 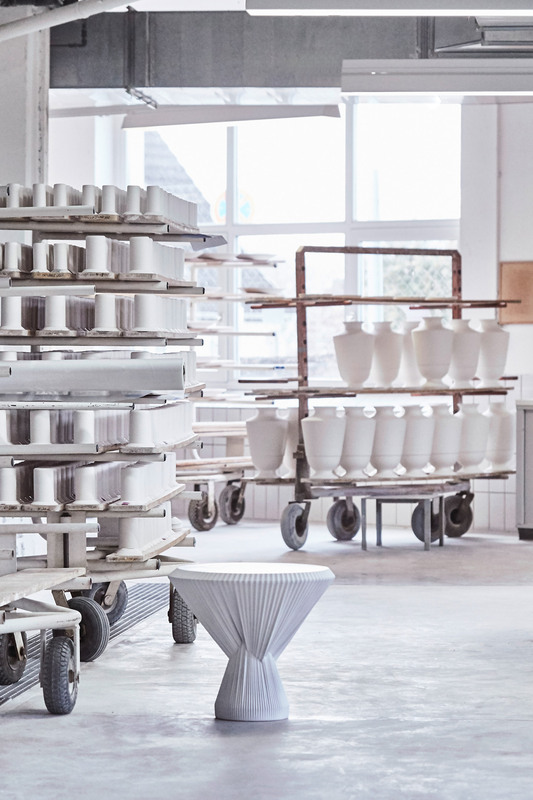 In its latest design co-operation, FÜRSTENBERG proves that porcelain is about more than sophisticated dining. 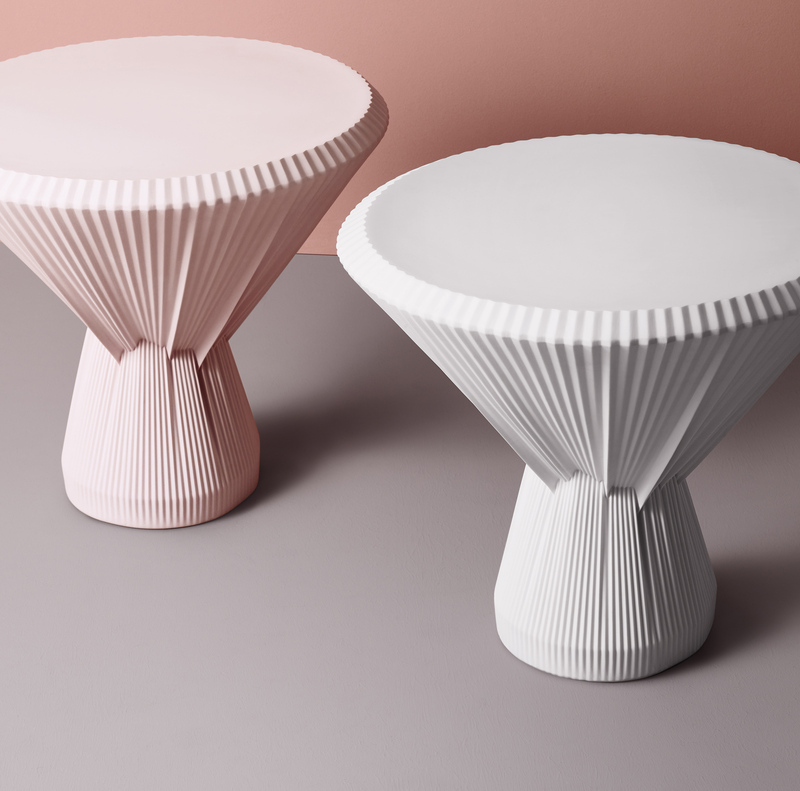 The porcelain manufacturer developed the pleated effect PLISAGO side table, which is made entirely of high-quality manufactured porcelain, together with Studio Besau-Marguerre. 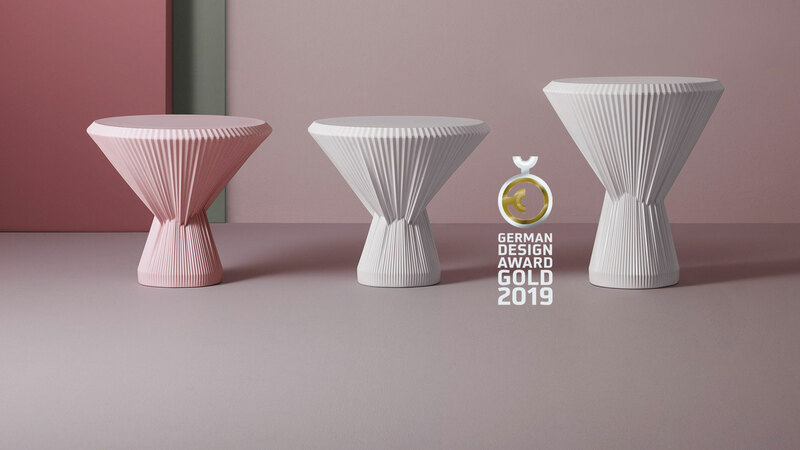 The luxurious design brings the elegance and refinement of porcelain into modern home environments, and is honoured with the German Design Award 2019 in Gold in the Furniture category. 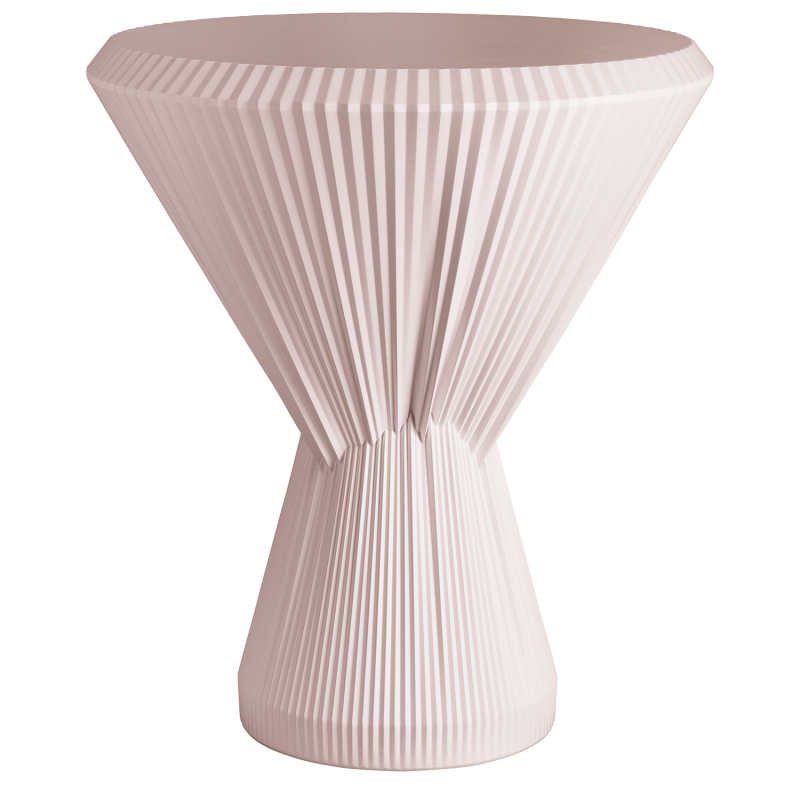 PLISAGO is available in two different sizes and in a miniature version, all in classic white or delicate rose. 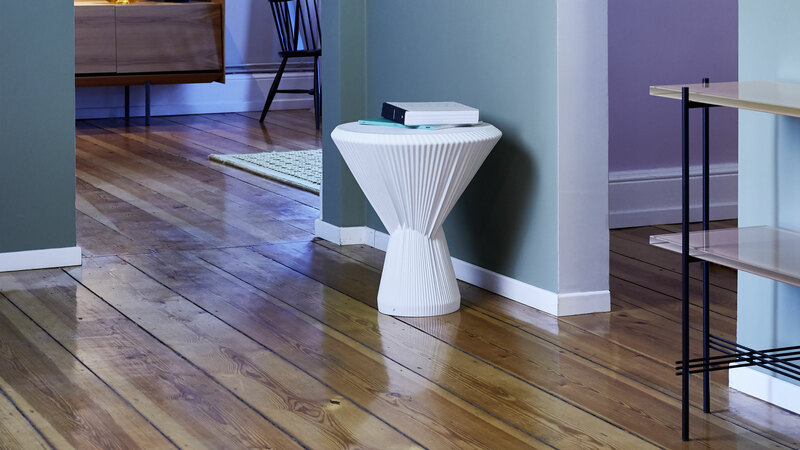 PLISAGO is a side table in which the form represents the design, and the design represents the form: two interlocking cones form the basic shape in three-dimensional pleats that determines the whole shape of the table. 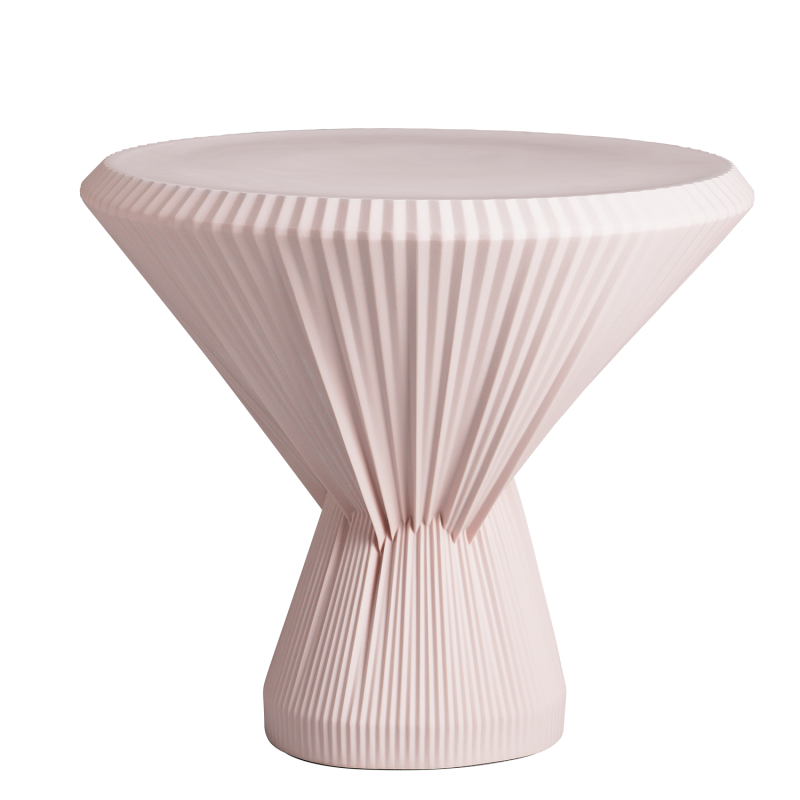 “We want to present the softness, the poetic, the delicacy, the sensuousness, the fragility of porcelain, and so have given our side table a soft, textile character. 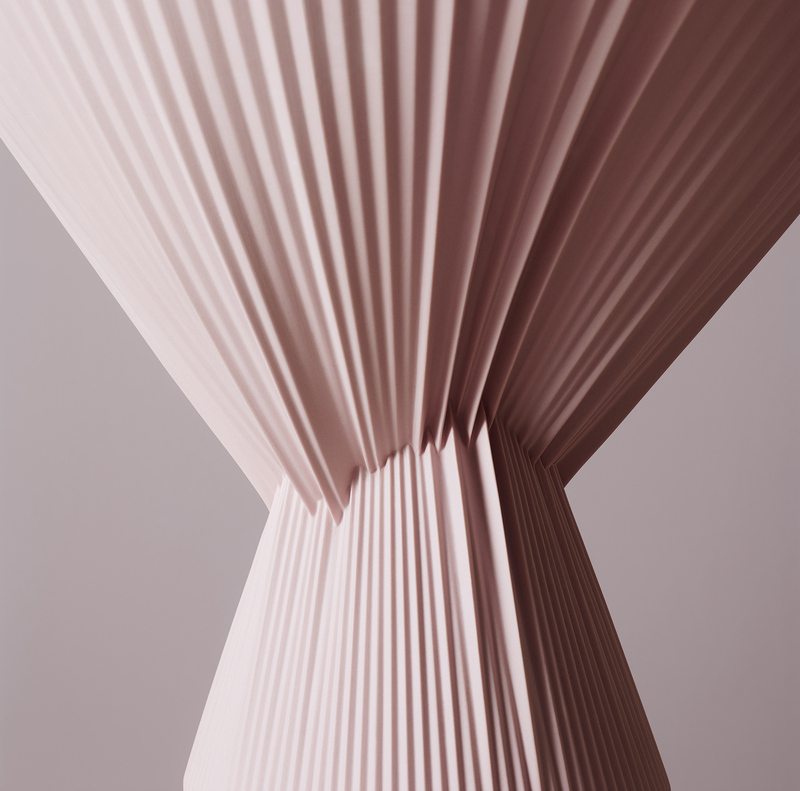 Pleats unite these aspects,” is how the design duo explains its creation. 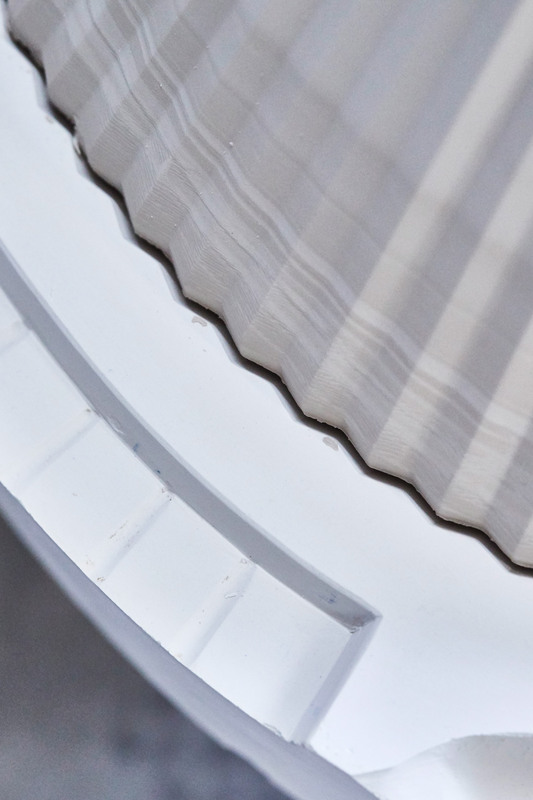 The lavish design demands absolute precision in its manufacture. 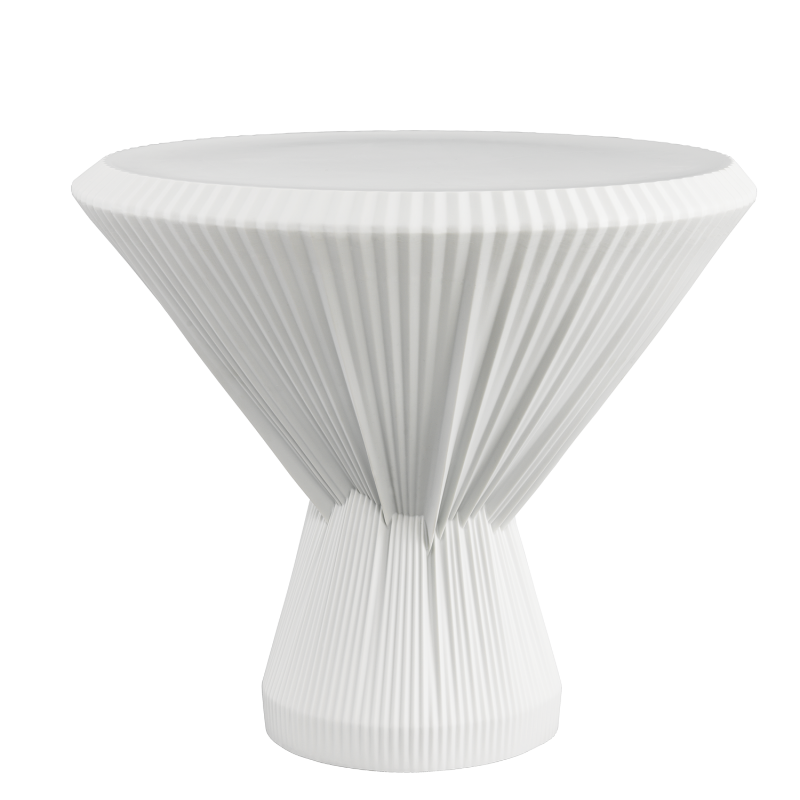 The pleated, almost textile structure of PLISAGO and the matt glaze create a charming contrast to the diamond-polished top. 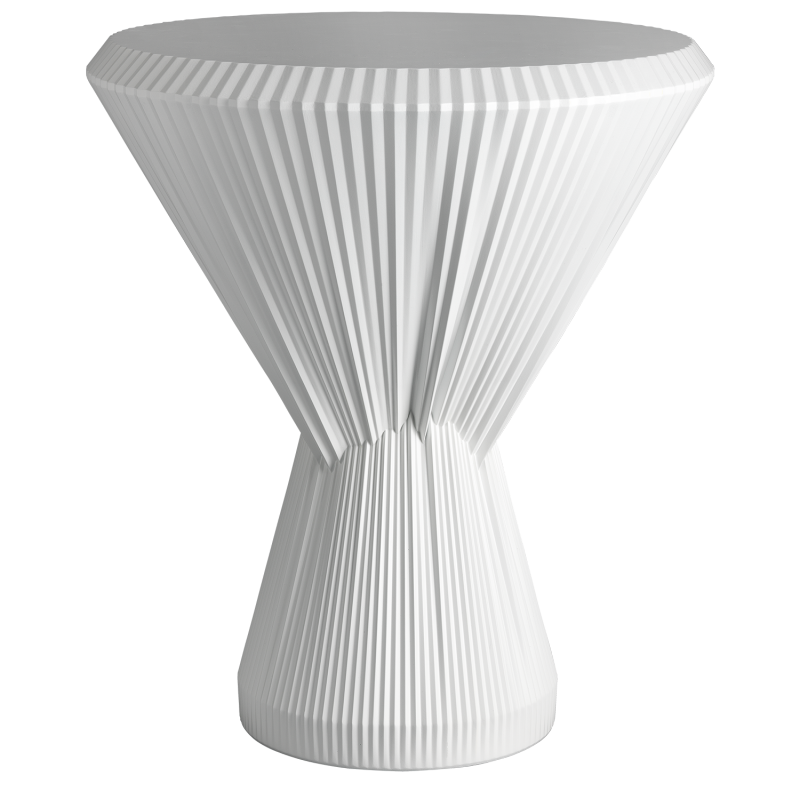 The side table PLISAGO will be available in classic white and a coloured variant. See product flyer. 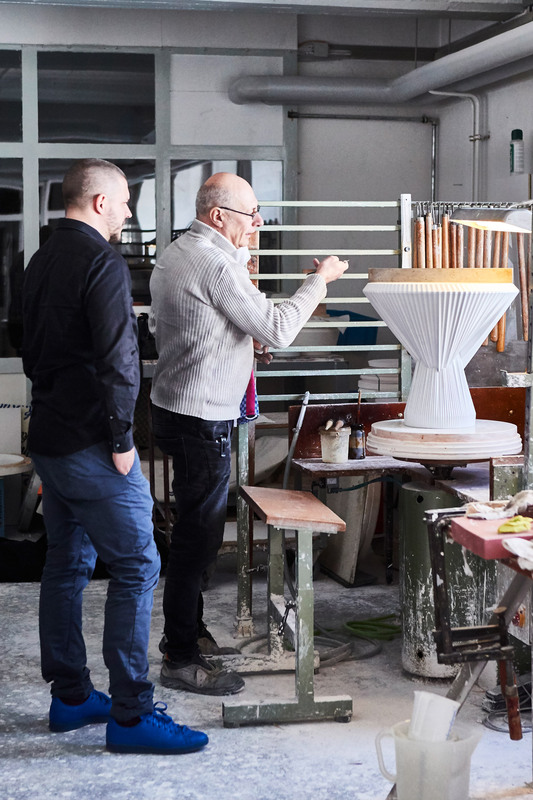 Studio Besau-Marguerre is the name behind which lie the two creative minds of Eva Marguerre (*1983) and Marcel Besau (*1980). 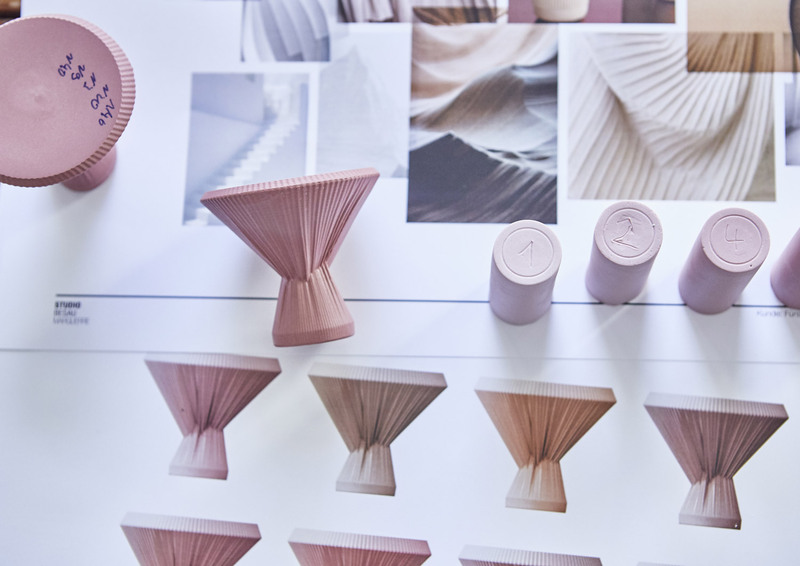 After studying product and communication design in Karlsruhe and Wuppertal, in May 2011 the pair founded their own interdisciplinary design studio in Hamburg, where their repertoire has encompassed not only interior design but also visual communication, editorial design and styling. 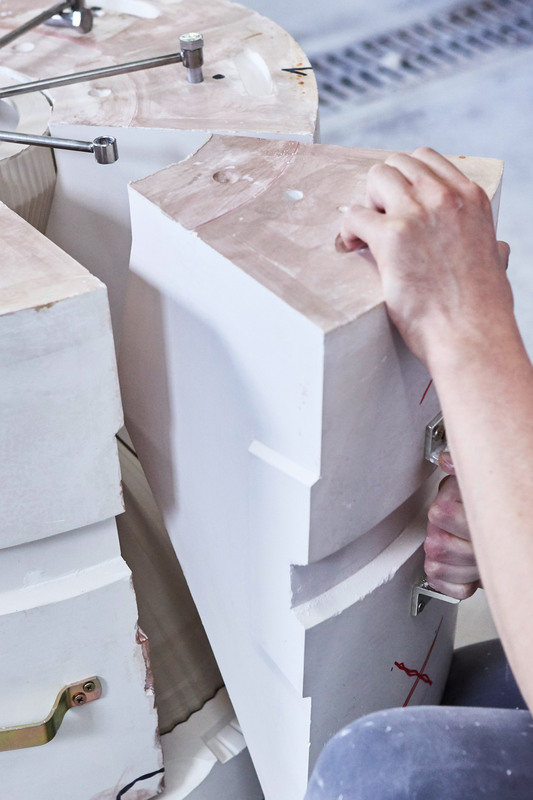 The pair’s joint design approach leads to extraordinary, innovative ideas and products, in which they frequently combine the experimental use of unconventional materials with a striking colour scheme. 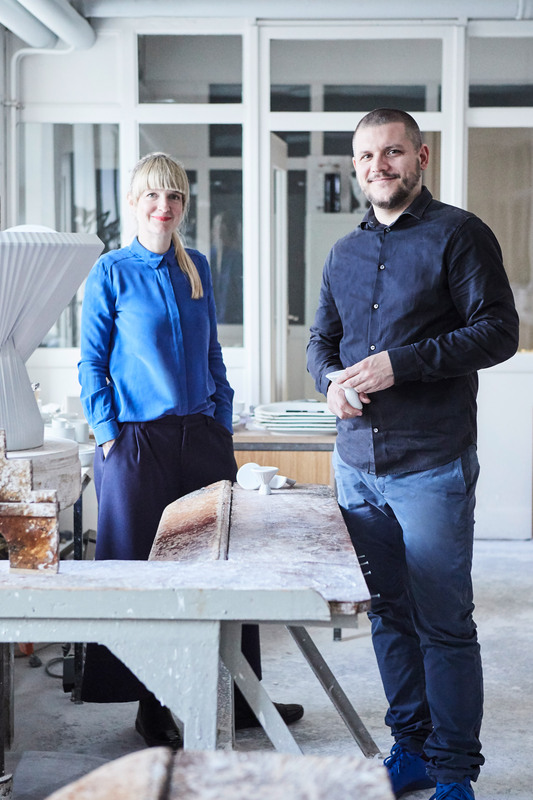 Even though still at an early stage in their careers, Eva Marguerre and Marcel Besau have already celebrated some considerable successes, having been nominated for numerous international design awards and selected by the German Design Council in 2014 as one of five Newcomer finalists. 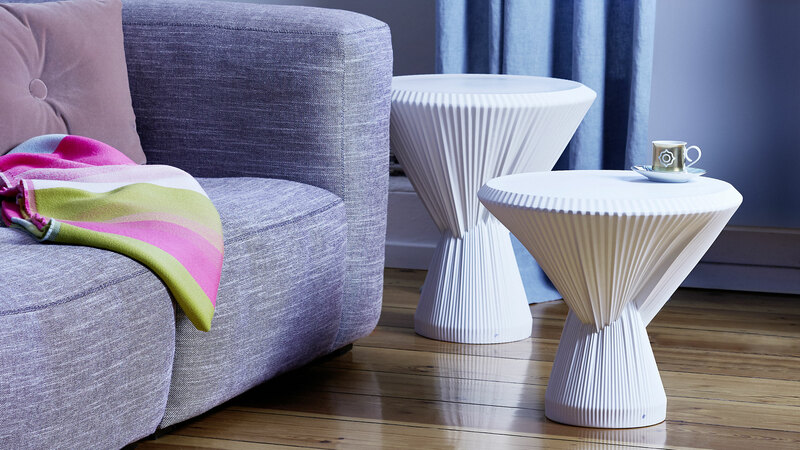 They have also appeared at prestigious trade fairs and exhibitions in Germany and abroad.